Alice started Guitar lessons last Monday; using teacher's full size guitar in pic to left. 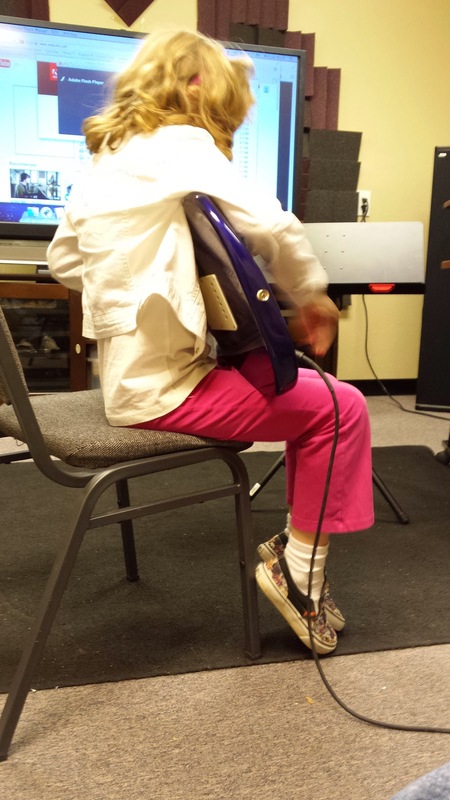 This Monday she will have her own guitar, a small sized Fender Squire Mini, which is much easier for her to manage. The teacher, Tracy, also teaches voice lessons so we're getting her to do both for us, intermixing as she and Alice see fit.